Being God's Own Country, it is certainly objectionable if you do not tend to think of its beautiful places when the talk is about hill stations, summer destinations or heavenly beauties. Kerala always tops the chart when the bet is on the places where one can relax and rejuvenate their mind, body and soul. So, if you are looking for a few places where you can just chill and mingle with nature, then you need to consider these beautiful yet unexplored summer destinations in Kannur district of Kerala. Travel to these wonderful places which are all set to astonish you with their majesty, grandeur and magnificence. Iritty is situated at a distance of 40 km from Kannur city and hence, it can be easily accessed. Due to its alluring environment filled with lush greenery, it is also known as the Coorg Valley of Kerala. Iritty is located on the banks of the Valapattanam river and is surrounded by towering hills. From trekking to photography, there is a lot do here. The major places to visit here include Aralam Wildlife Sanctuary, Pazhassi Dam, Kanjirakkolly waterfalls, Iritty Bridge and Mahatma Gandhi Park. So what do you think of being on a tour to Iritty and exploring its natural wonders this summer? Ezhimala Hill is another gorgeous location in Kannur where you can have a peaceful time with nature. Famous for its beautiful beach and backwaters, the surrounding of Ezhimala Hill is a treat to savour. Even though it has also been a significant part of the Chola-Chera wars in the past, the natural beauty of this unforgettable stoppage is still stainless. So, what do you think of visiting the beaches, hills and backwaters of Ezhimala which still showcase the magical beauty of nature? It is located at a distance of about 30 km from the core settlement of Kannur. Kottiyoor is nestled at a distance of about 65 km from the centre of Kannur and hence, it is easily accessible by road. Flourishing in the valleys of the Western Ghats, Kottiyoor is certainly a small paradise in Kannur, considering its luxuriant plains, beautiful hills and rich vegetation. Being a small hamlet and one of the richest wildlife sanctuaries in Kerala, the atmosphere of Kottiyoor remains unpolluted and serene throughout the year. Looking forward to feeling the essence of freshness? Then, you must consider visiting this wonderful small hill station which seems like a green carpet of nature. Kottiyoor is also popular for Thruchherumana Temple, which is visited by thousands of Hindu pilgrims every year. 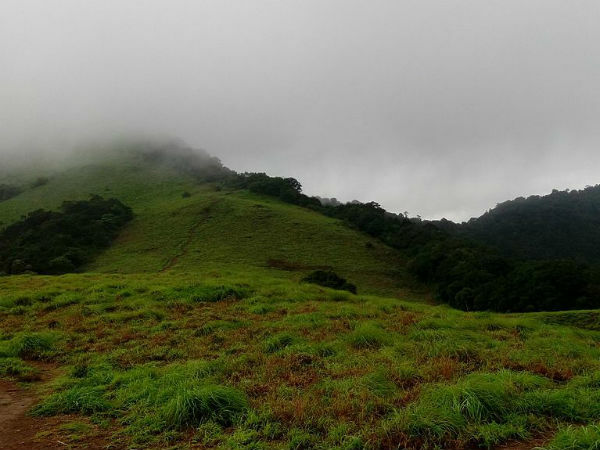 Located at a distance of about 60 km from the main city of Kannur, Paithalmala, also called Vaithalmala, is a beautiful hill station which houses the highest peak in the Kannur district at an elevation of around 1372 m. Hence, it is a perfect place for trekking. The lush green hills surrounded by misty clouds make this enchanting station look more photogenic. Being an unexplored destination, it is an idyllic destination to spend summer weekends with your family and friends. The major things to do here include trekking, photography and lazing by the hills.